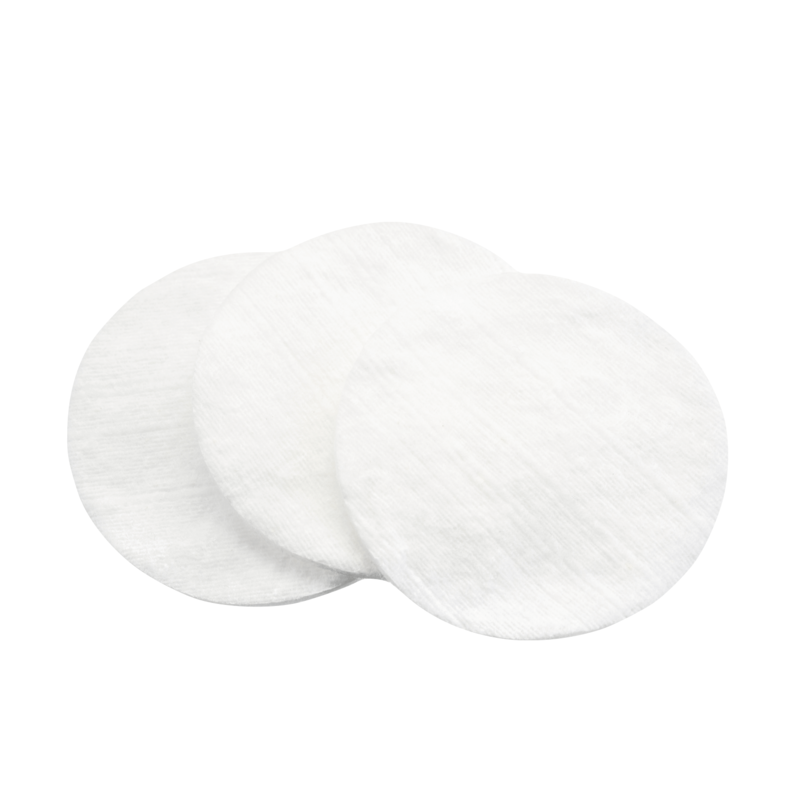 Our first exfoliating, at-home peel pads to boost skin renewal for improved luminosity and an even skin tone. Also boosts collagen production with continued use. 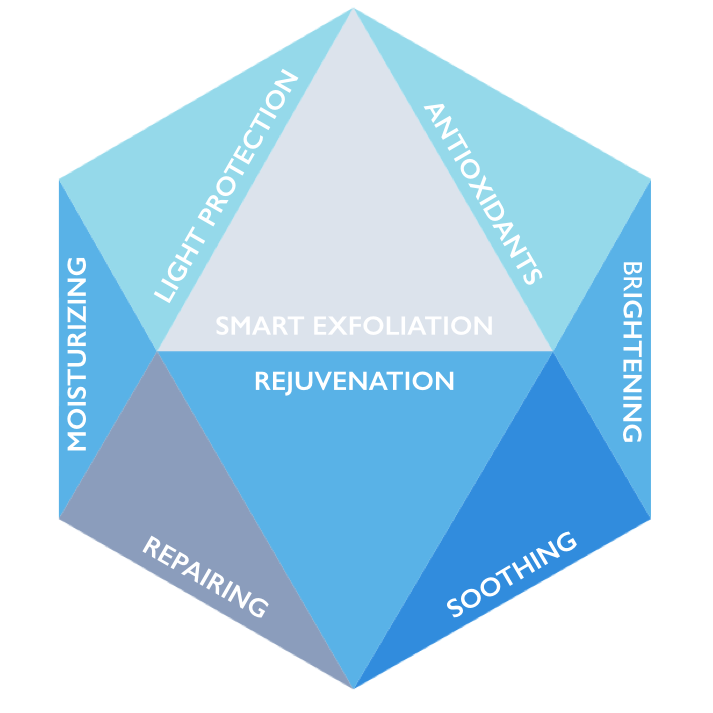 > Surface exfoliation helps unclog pores, refine skin texture and lighten brown spots and acne scars. 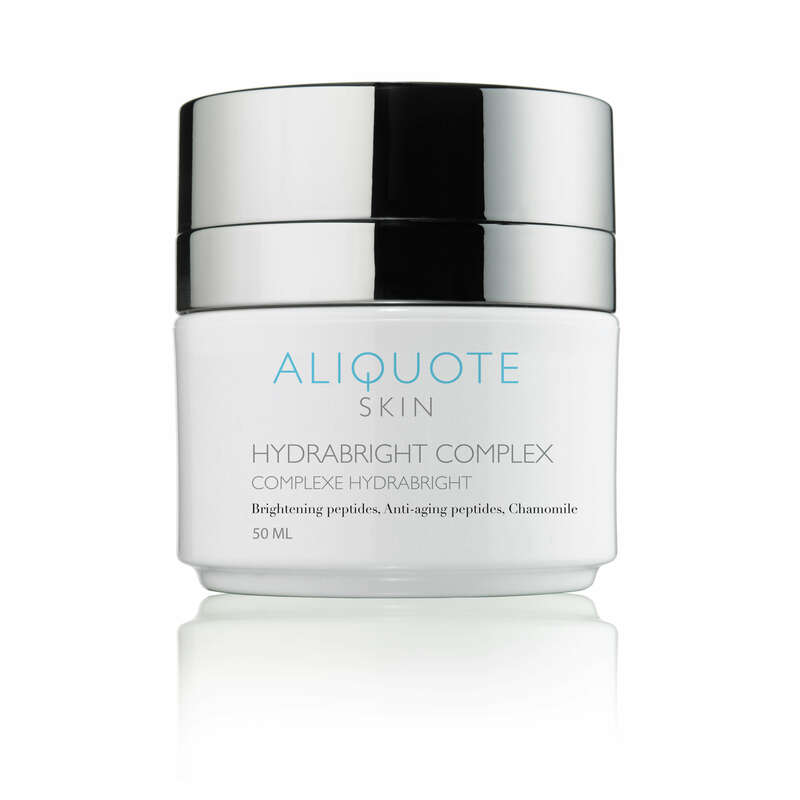 > Day after day, skin is more luminous, wrinkles are softened and brown spots appear lighter. 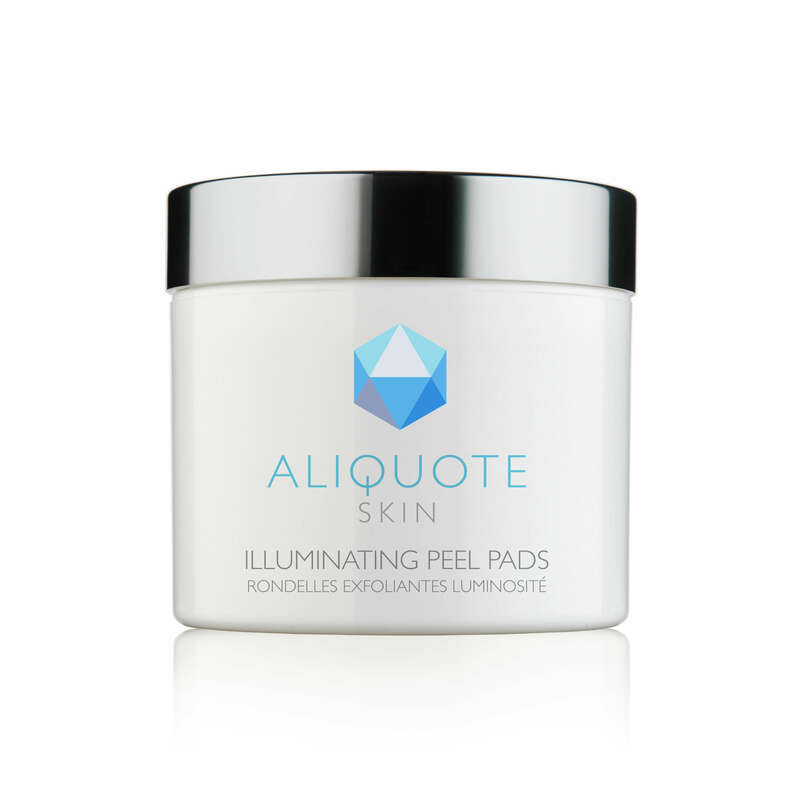 > Use the Aliquote Skin Illuminating Peel Pads once a week, after double cleansing. Leave on for 1-10 minutes, and rinse off with tepid water. Follow with the appropriate moisturizer or anti-aging serum. 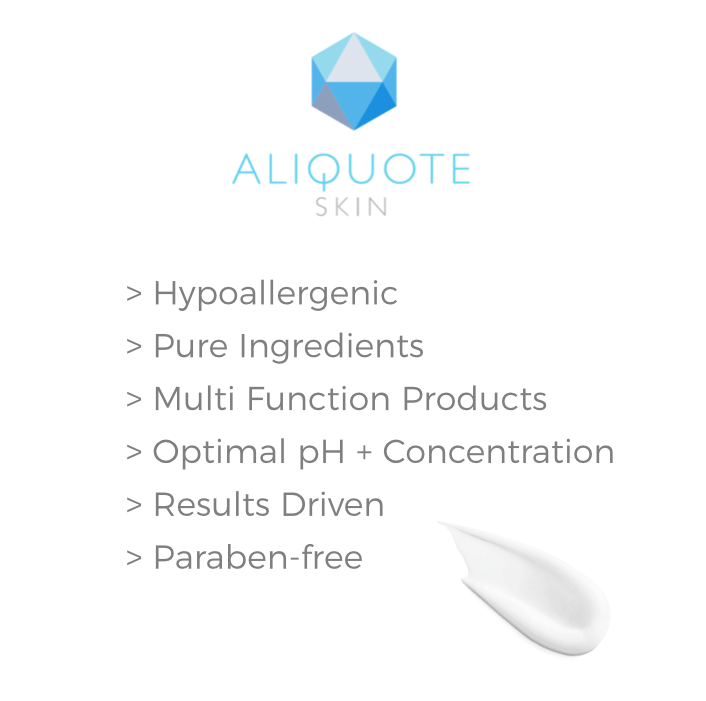 10% Glycolic acid, Firming peptides, Botanicals.